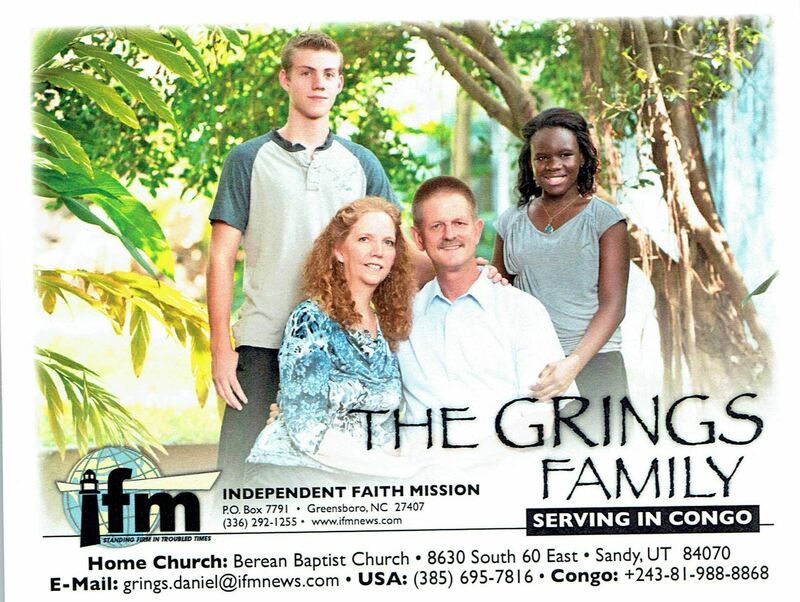 The Grings are 3rd generation missionaries. They are more at home on the field than in the US. Church planting and growing believers into mature believers is their primary mission in the Congo. The Power - The Church need not resort to human devices and wisdom to bring converts to Christ. It is the Holy Spirit's work to open the heart of the sinner and to convict him of his sin and his need. The Purpose - Jesus clearly commands that His disciples, His church are to witness of Him, not other things or of themselves. The Pathway - In Acts 1:8 the method of missions is given. True missions begins at home (Jerusalem) then spreads out (Judea), then to other countries (Samaria) and then to the uttermost part of the earth.